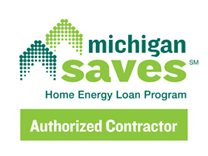 Sign up for your Energy Audit today! Sign up for your home energy audit, today! Call us at 248-770-7575 or fill out the form below. Or, if you would like more information, please don't hesitate to ask. We have over 30 years experience and love helping our clients save money on their home energy bills! All information received on this form will be kept private and confidential. We do not share your personal information with any other organization.